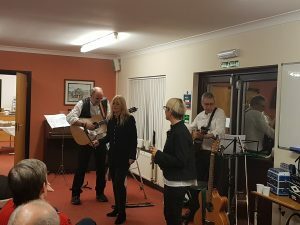 57 members enjoyed an excellent evening of folk music from ‘May Thrill’ They played two sets either side of a delicious buffet supplied by the 4 Seasons Deli. Our thanks to Lionel for the organisation of this successful evening, managing to squeeze us into the room and leave space for the band ! 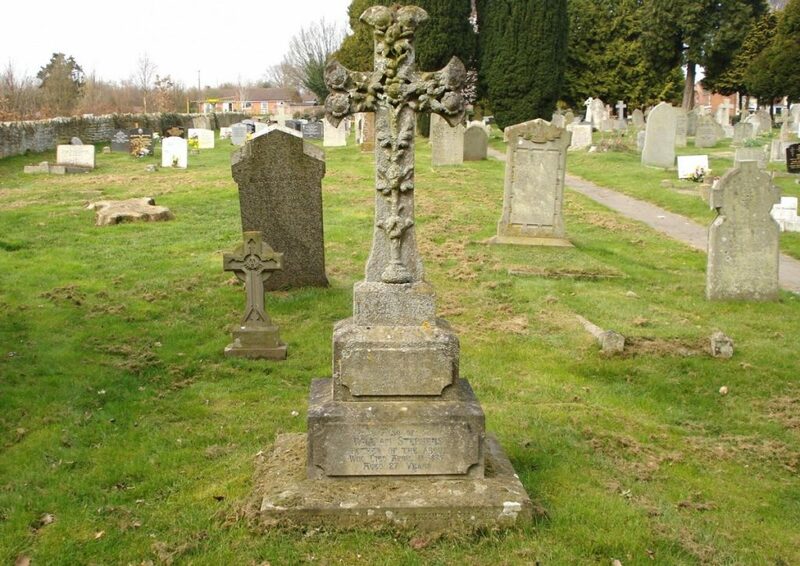 The remaining gravestones in St.Mary’s Churchyard were surveyed by Frances Penney + Dood Pearce from 1982-1987. These records have now been digitised, and the gravestones re-photographed to create digital copies which can be sent anywhere in the world on request. 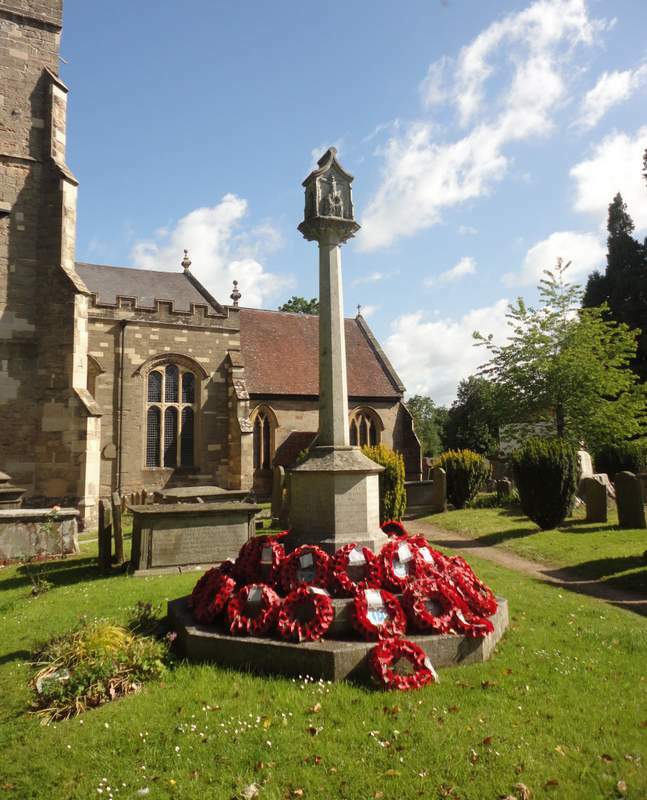 The Newent Cemetery Burial Records have been transcribed from 1865-2014 and indexed; the Grave records have also been digitally copied to enable quick access and again can be sent anywhere in the world. The Old Section of the Cemetery (Plots 1-1484) have been surveyed, recorded, and photographed before the inscriptions disappear, as has New Section Plots B 1-148. Work is about to start on New Section C. The Churchyard at Cliffords Mesne, has also been surveyed and all the graves recorded and indexed. Their Burial records have also been digitally copied, transcribed, and indexed. If you would like to become involved with this work, please contact Martin Brown 01531 820 895 or Dood Pearce 01531 821 398. 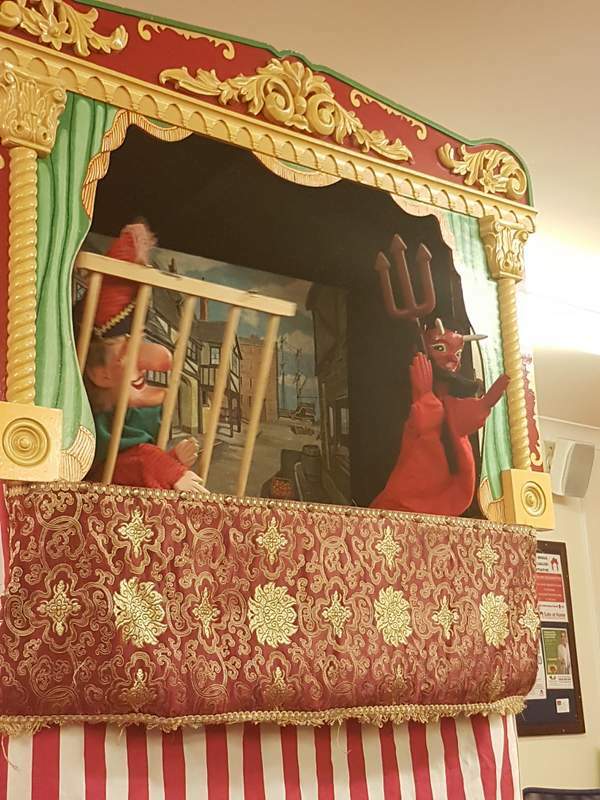 The society had a very entertaining performance by Philip Collins (Mr Collywobbles) entitled ‘The History of Punch and Judy’. He told us its origins and history with much participation from members, and then erected his theatre. Dood had been ‘volunteered’ to be the Bottler. 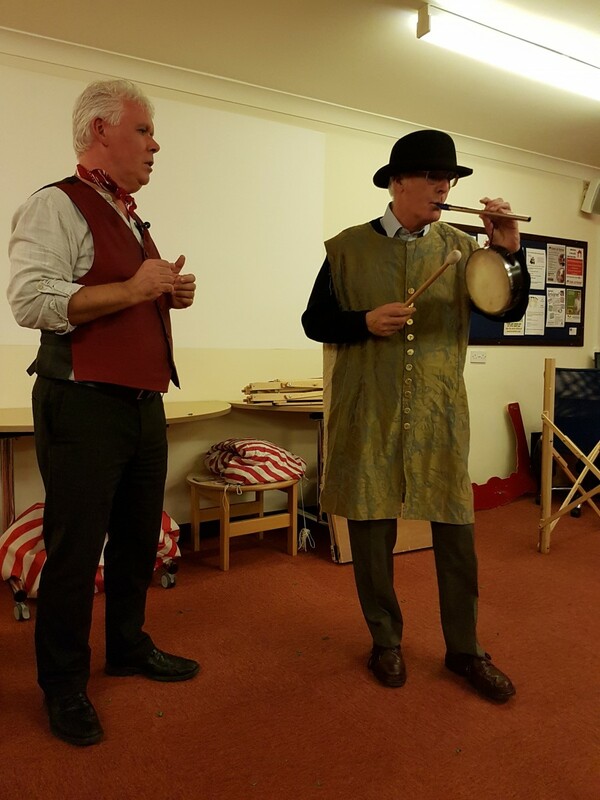 He played the pipe and drum with elan while collecting money from the audience, which will be given to charity.